Authors willing to submit their manuscript to Journal of Scientific Agriculture are requested to carefully go through the guidelines as given below, [The papers submitted without following this style and format will not undergo review process, and will be returned to authors]. There is no Article Submission or Processing Fee, but author(s) is required to pay a very nominal fee for proof setting and online publishing, if the article is accepted after review and revision. The fees depend upon the number of pages of article. 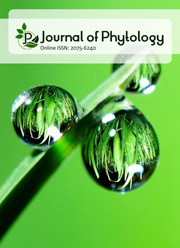 As Journal of Scientific Agriculture follow a continuous publishing model, the article will be published online with page numbers soon after proof correction.